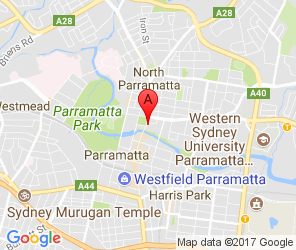 Our state-of-the-art facilities and modern techniques mean we attract only the best dentists in Parramatta for your dental needs. Highly qualified, and dedicated to oral health, why not talk to us today on how we can help you achieve a beautiful, radiant smile. Shortly after graduating with a Bachelor of Dental Surgery in Beirut 2010 and starting her professional career, Farah moved to Australia and joined the Dental Avenue team. Completing her Australian Dental Accreditation (ADA) in 2012, Farah moved back into dental practice in both our Maroubra and Parramatta dental clinics. Putting ‘total patient care’ front of mind, Farah enjoys working with patients to ensure the best treatment experience possible. When not in the clinic, Farah enjoys reading and spending time with her friends and family. Graduating with a Bachelor of Dental Surgery from the University of Sydney in 1992, Tony has owned and operated a number of successful dental surgeries across Sydney. Results-driven, Tony believes the best results come from customised and comprehensive treatment plans that address the patient’s specific needs. Holding a Masters of Business Administration (MBA) at the Australian Graduate School of Management (AGSM), Tony has consulted for several international dental organisations and brings a wealth of best-practice experience to our team. Keeping his finger to the pulse when it comes to the latest in technology and techniques, Tony continues to bring to our practice the very latest in products, technologies and services that enhance our patients’ wellbeing. A busy family man, Tony likes to spend time with his kids bike riding and playing tennis. After completing a degree in Physiotherapy, Romy then went on to attain a post graduate degree in Dentistry from the University of Sydney. Following his graduation in 2011 Romy began his dental career working in a rural NSW clinic where he gained valuable skills in general dentistry as well as patient care. Romy returned to Sydney in 2013 where he has worked in private dental practice since. Romy has a strong belief in the prevention of dental disease and has a focus on communication to achieve the best results for his patients. His gentle touch and caring nature allow his patients to receive optimal care in a comfortable setting. Coming from a very large family also gives Romy the ability and confidence to work well with children of all ages. Away from the dental clinic Romy enjoys spending time with his family, playing a variety of sports, fishing and cooking. Graduating from the University of Tabriz, Iran, in 2011 with a Bachelor of Statistics, Hilda took the plunge to follow a different path into dental health, and joined our team in January 2015 as a Dental Assistant. Bringing over three years’ of experience in the dental field, Hilda is adept at working with nervous patients to help them experience a rewarding dental treatment. When not at the clinic, Hilda likes spending time with her family, keeping fit and playing music – especially on her traditional Persian instrument, the Setar. Kate joins our team at Parramatta as our Practice Manager. She brings with her 35 years of experience in the dental industry. Starting out when she left school as a Dental Nurse then progressing through the ranks as a Dental Receptionist and then a Practice Manager. One aspect that Kate really enjoys is knowing that she has made a difference to each patient that enters the practice. From our youngest to oldest patient, she loves getting to know them and learning about their history, their families and their experiences. Being a “people person”, it is important to Kate to be able to help with any concerns you may have and to know that you feel comfortable at our surgery. When Kate is not at work, she enjoys spending time with her husband, five kids and her grand daughter. Murooj joined our Dental Avenue team in Nov 2016 as our Front Office Coordinator. Murooj has been working in the Dental industry for 9 years, she loves interacting with patients and seeing them leave the clinic happy and smiling. It is important to Murooj that each patient has an enjoyable experience whilst at the clinic. When not in the clinic, Murooj likes to travel, spending quality time with family and friends. Her interests include running and horse riding. Bilal joined the Dental Avenue team at the end of 2016 and has advanced through to the role of Clinical Coordinator. Bilal graduated with a Bachelor of Dental Surgery in Lebanon. He is looking forward to completing his Australian Dental Association certification and practicing in Australia. At work, Bilal helps in organising treatment plans for patients and aims to ensure patients have a thorough understanding of treatment. He is very passionate about his field of work and aims to ensure patients feel comfortable and at ease. When not at work, Bilal likes to spend time with his family and friends, travel and take care of his dog. Graduating from the University of Newcastle with a Bachelor of Oral Health with Distinction and a Bachelor of Health Science (Honours), Erin is an enthusiastic Dental Hygienist with a passion for preventative care and creating awareness of oral and systemic disease processes. Erin has a gentle and caring approach to providing a high quality of dental care. She enjoys working in a team that is highly trained in new dental treatment technology to ensure best possible treatment care is delivered to all patients. Erin also enjoys working in close collaboration with all the dental practitioners at Dental Avenue to ensure her patients are receiving comprehensive options regarding their dental treatment and personal needs. When not in the clinic, Erin enjoys gardening and spending time with her husband. Zahra joined our Dental Avenue team in August 2017, as a qualified Dental Assistant. She has completed her radiography qualifications and is currently working towards her Diploma of Health Science at ACNT College. Zahra enjoys training with the latest technology, including Trios, 3D Scans and Laboratory work. She takes pride in maintaining a high level of care and is always willing to take on new tasks, to maintain our high standards. Zahra ensures our patients comfort and does her very best to make sure the experience is positive. When Zahra is not at the clinic, she likes spending time with her family and friends, playing the violin and studying.